I am a life enthusiast. Life frequently makes me cry. It makes me clap my hands and jump up and down in the middle of Target because something is just so ridiculously amazing. It makes me notice that your hair looks different and I can't even believe how beautiful you are at this exact instant. It makes me see sunsets and commercials and sob. Because I am a life enthusiast I must connect with you on a level so deep it intimidates some- and annoys and confuses others. 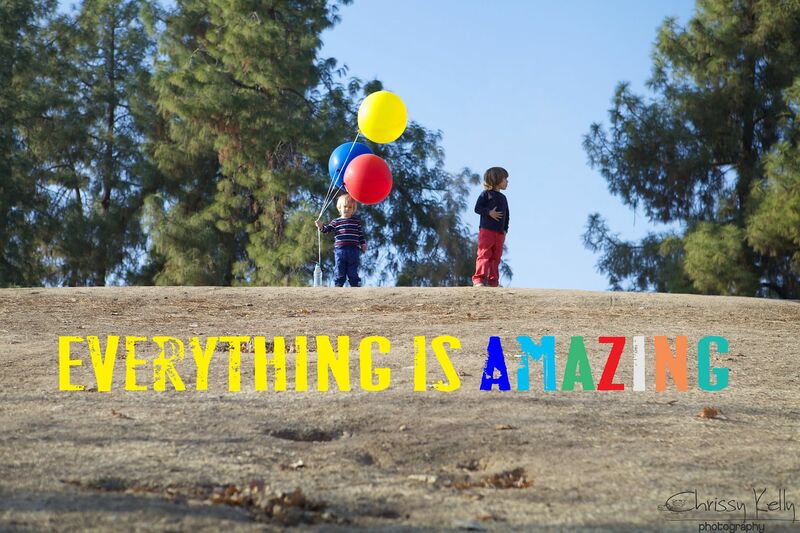 But isn't it all just so amazing? Everything life? Don't we need to think and feel and discuss while 3,632 adjectives roll out of our mouths and fall to the floor and explode into feeling? Being a life enthusiast makes me describe the sky as pink and purple cotton candy or cartoon clouds or warm and golden glittery. It makes the moon make me think about God and life and death and what it really means to be infinity. It makes me describe and feel and see trees as thousands of shades of green, with rough, textured honest bark- each tree complete with its own personality. Sometimes I label them as I drive down the road. Look at that happy tree- all fluffy and symmetrical. And that one that is tip toe tall and skinny with long dangling arm branches is so wise. Sometimes everything IS amazing, and sometimes I just think it is. Either way- it ends up amazing. Amazing for the win. Also- the tree directly behind Parker is scared, and the one to the left of it is organized. My husband is not a life enthusiast. He describes trees as green and brown. He may mention that they give us oxygen- like this diagram shows- not in a way that makes him cry at the full circle insanity of God's BRILLIANT plan called life. He would find it so very hard to understand that a tree had the power to make me cry. I think it's safe to say he has never jumped up and down out of sheer joy inside a Target...or anywhere. This has always made me quite mad, but I didn't really even realize until recently. I get mad at him for not noticing and commenting and loving all the that I love and get excited about daily. I thought this meant he was doing it wrong. Like if you are more subdued about expressing yourself- you are doing it wrong. I get mad at him for not living LOUD and enthusiastically. I also thought this meant I was doing it right. Not right for me- but for all of the earth. Like this is how happy people live life- enthusiastically. I love being a life enthusiast, as do most others who share this role with me. Each day I feel as though we are all our own hero standing on the edge of our very own great adventure. There are hard parts too. Parts that make no sense to my soul. There are demons and dragons to slay; some created by man and some by nature. The ones created by man make me unbearably unsettled. There are lessons for me to learn- again and again and again- because it seems like the really important ones often slip away from me. Sometimes it hurts to be a life enthusiast. There are times I feel empathy so deep it carves out a vast empty hole in my middle. I can't watch the news. I can't hear about tragedy to children. Sometimes I want to cry when I think about the fact that one day my dog Jack will die. He's only 7 and hopefully has a long life ahead of him- so I don't know why I think those kinds of things but I do. When life fills me with sad I just want to go to sleep. Even if it's 2pm. But I can't always do that so I'm left not knowing how I'm going to function in this less than enthusiastic state. I get my feelings hurt more often than I would like because they are too big to fit under my skin. They lie on top of my skin therefore anyone and anything can get to them. No sir, being a life enthusiast is sometimes quite painful. I embrace all of it. I believe that for the most parts- there are no gifts without burdens. I've realized that the gifts that God has given us are always worth the cost. I am becoming more aware that there is no ONE way to be, no ONE way to live. In fact, life would really be awful if it was run by life enthusiasts. After a Life Enthusiast Doctor lost their first patient they would go home and go to bed for days. They wouldn't be able to function. They would stop saving lives and instead collect golf balls from the golf course. Life enthusiasts could never be an accountant because that is so extremely only one way to do it and uncolorful. This whole wide world runs off the practicality and utter beauty of different. The older I get the more I look for and connect with my people. The more I also try to work with and appreciate those unlike me. They have something to offer my perspective, just as I have something to offer theirs. I like labels as long as they are applied loosely with room for exception. I recently found these lists and it has helped me understand some differences between my husband Michael and I. Differences I might have once thought were things he did wrong. Differences I thought meant I was doing it right. 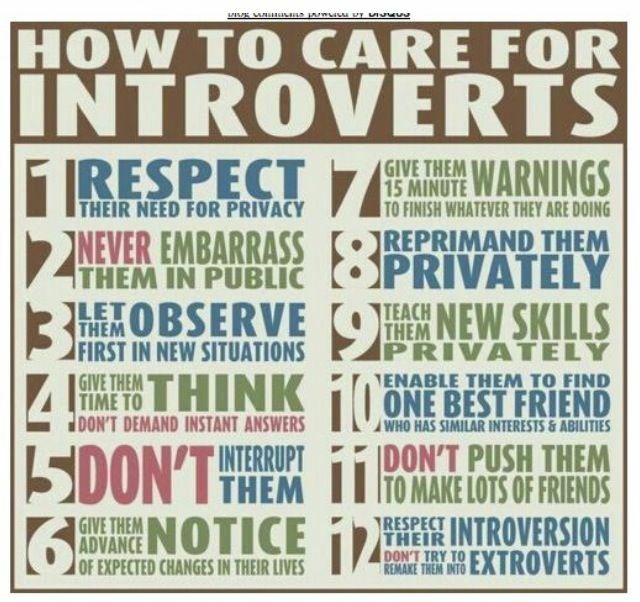 I think I'm a big mesh of many different personality types- but when it comes to social relationships, trying new things and pride and shame- I connect with this Introvert list. I am doing it right- FOR ME- and that's kind of a beautiful thing. To give yourself permission to be exactly who you are. I need frequent reminders that I am allowed to be exactly who I am- remember- I need to learn and relearn the important things. And I must tell you- you are perfectly wonderful and complete exactly the way you are too. I give YOU permission to be you. Maybe we both can remind each other that we are allowed to be us. This lesson is an important one. PS- If you have two minutes, check out these ADORABLE little tiny Life Enthusiasts giving their Poppa a lesson after he gives them the "worst Christmas gifts" ever. I'm not much of a LOUD liver (yeah, I just hear it). And, no, its not because I am an accountant ;) You help me look for the cotton candy skies. I am an introvert and my husband is an extrovert. We are trying to figure out our communication and how to parent as a team. Good grief! I can still remember when it was enough to like the same hair band and restaurant. Now I have to figure out how to be me and let him be him and how do we get to us??? I love this life, too. Every crazy bit of it. Life Enthusiast! What a great description! I always send you comments marked "anonymous" because I can't figure out how to use the other options!?! However, I want you to know that my name is Cheryl and that you have touched my life in so many special ways. As a retired speech-language pathologist, I relive my wonderful interactions with families with autism in your every post. 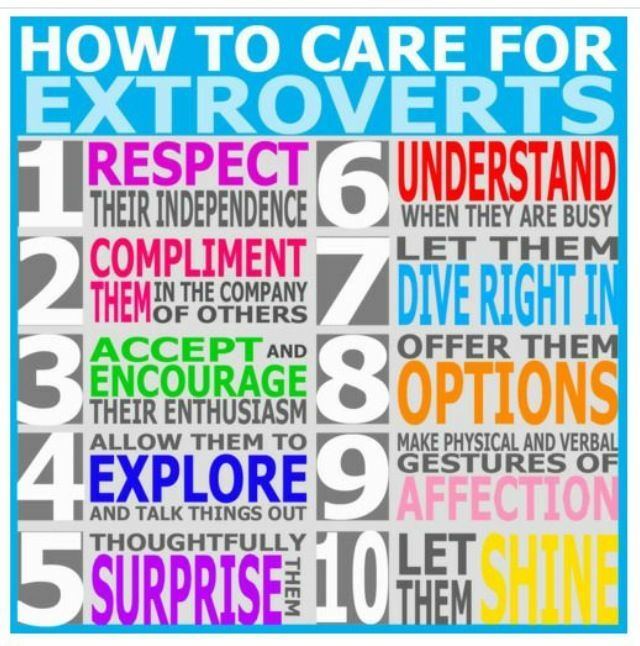 As a mother and an introvert, I connect with you on a much deeper level.....as a life enthusiast! I have been married to an extrovert for forty-eight years and there have been interesting interactions throughout those years. In my thirties, I began to accept my husband for just who he is.....a bit boisterous, out-going and friendly, always ready to invite company over and have a party. That is the person I fell in love with when we were seventeen years old! That is the person God made him to be. I've learned that I can be with him while he is boisterous and still be confident in my quiet self. He can be out-going with others and I can join him in the friendly category after that initial contact is made. He can have a party any time he wants as long as he takes care of cleaning the house and arranging for the food. In turn, he respects me and loves me for the way God made me. He doesn't ridicule me for any aspect of my personality. It has worked for us! We started with God at the center of our marriage and have kept him there. I'm not sure if I am writing this to encourage you or to express my gratitude to God for letting me and my husband (opposites) flourish together. I have made it my aim to remember you and your family in my prayers....each of you by name. So when you are going through a rough patch or you're just celebrating dew on the grass, remember that Cheryl is keeping you and yours in her prayers! Yes! What a great choice of words. I've always said I was born a Pollyanna but I like your new and improved Life Enthusiast term much better!